Our apartment is on the 2nd floor of a brand new development called Mountain View Resort. 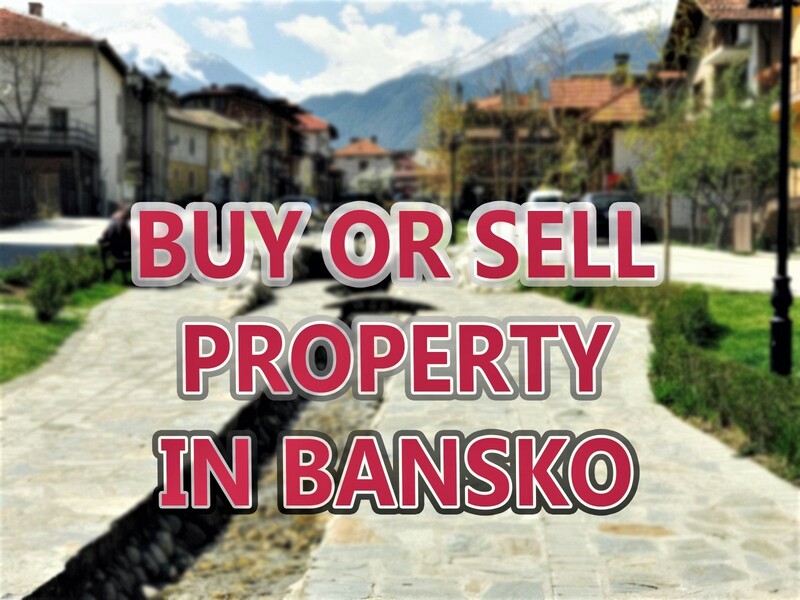 It is situated on Pirin Street 200m up from the Kempinski Hotel and less than 5 minutes walk to the gondola station What makes it quite unique is you are able to access the blue ski run that takes you to the Gondola. This is a mere 50m away. So you can ski down to the Gondola and then, after a great day skiing, ski to within 50m of your apartment. A fabulous location! 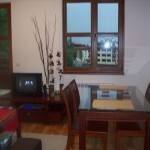 Apartment B24 is a luxuriously furnished (Platinum Package) one bedroom property. 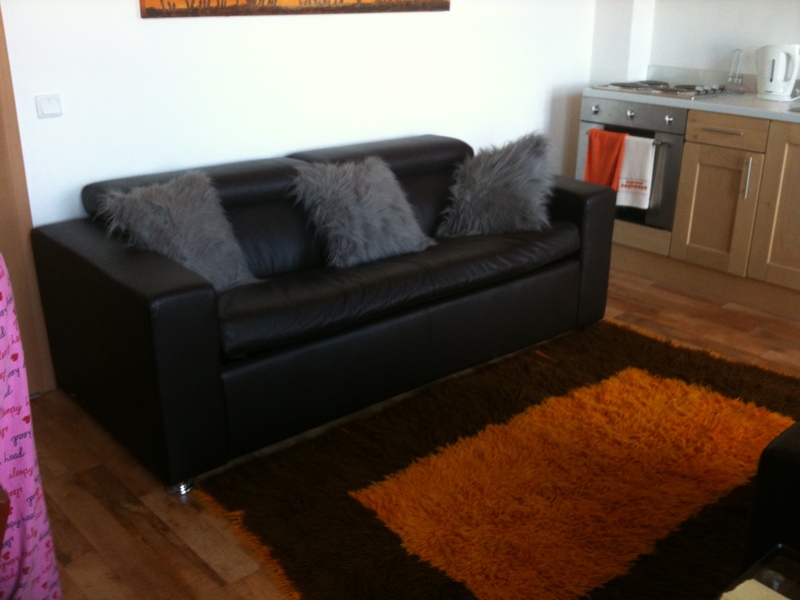 The spacious lounge has a double bed settee so making the apartment ideal for 4 holidaymakers. 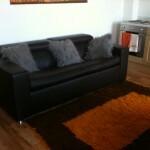 The apartment is equipped with all you might need for a self catering holiday. Duvets, linen, towels etc. are all provided. 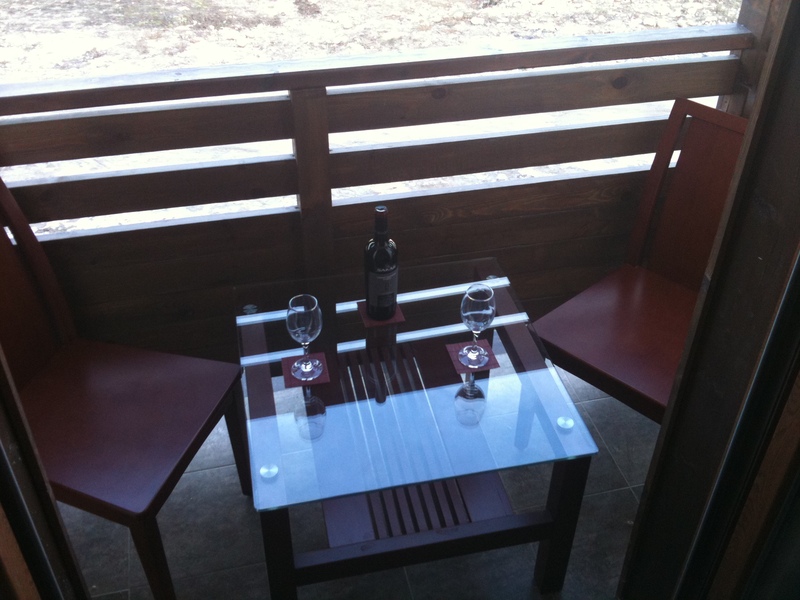 Both lounge and bedroom have balconies, giving fantastic views over the town and the Rhodope Mountains. The apartment benefits from being away from the hustle and bustle of town yet is only a 10 min stroll to the town centre and night life. 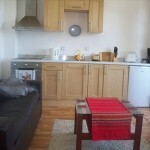 Exclusive bars and restaurants within 2 min walk. The complex benefits from 24-hour reception/security. 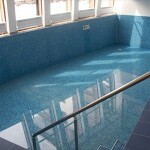 On the ground floor of the building you will find a superb indoor swimming pool, sauna and jacuzzi. 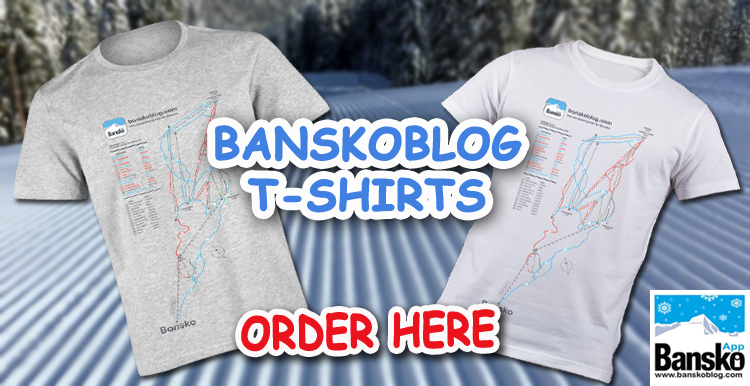 Ideal to help you relax after a busy day skiing, sightseeing or hiking. 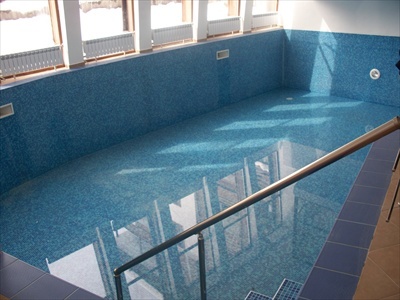 The use of the swimming pool saunas, jacuzzi, are included within the rental price of the apartment, and are located on site at Mountain View Resort. A laundry service is available on-site, at a small extra charge. A cot and / or high chair can be hired from reception, please book in advance. Mountain View Resort. Ref : MVR B24. One bedroom apartment. 58 sq.m NET. 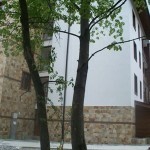 Situated on Pirin Street, 200m from the Kempinski Hotel and less than 5 minutes walk from the gondola station. 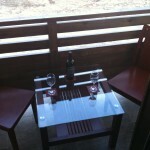 Our apartment is on the 2nd floor of a brand new development called Mountain View Resort. 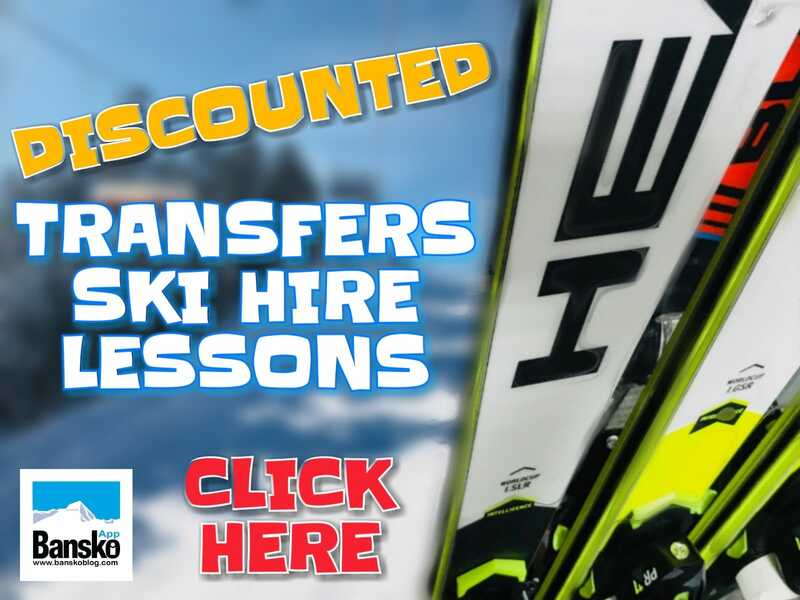 It is situated on Pirin Street 200m up from the Kempinski Hotel and less than 5 minutes walk to the gondola station What makes it quite unique is you are able to access the blue ski run that takes you to the Gondola. This is a mere 50m away. So you can ski down to the Gondola and then, after a great dayâ€™sâ€™ skiing, ski to within 50m of your apartment. A fabulous location!